For tonight’s game, the players were told to be in uniform at 3 o’clock in the afternoon. Batting practice began at 3:45 p.m. for one hour. The Florida State University team sat in the first base dugout when the Phillies were taking BP. When the Jimmy Rollins-Chase Utley-Ryan Howard group took BP, the FSU players all moved up to the batting cage for a closer look. It was cool. For that same trio, their day begin at 12 noon, the taping of an All-Star Game TV spot for FOX. Vernon Wells of the Blue Jays, who train in nearby Dunedin, also took part in the taping session. The Grapefruit League officially begins for the Phillies at 1:05 Thursday afternoon in Lakeland, a game against the Detroit Tigers. A travel roster is posted on the clubhouse bulletin board generally two days in advance of a road game. Tomorrow, those on the trip need to be at Bright House Networks Field in time for an 8:45 a.m. bus. The Phillies will dress (and shower) at Joker Marchant Stadium. On shorter trips, the Phillies dress in Clearwater. Those not on the travel roster tomorrow will work out at Bright House Networks Field at 9:30 a.m. They’ll finish around 12 noon and be done for the rest of the day. The Clearwater opener is Friday afternoon against the Cleveland Indians. Darren Daulton, a member of the Phillies Alumni Club, will throw out the ceremonial first ball. The Phillies will play a “B” game against the Toronto Blue Jays at Bright House Networks Field on Monday, March 5. Game time is 10 a.m. There will be no admission charge. Today was a curtailed workout schedule so the players could take part in the traditional, fun team golf outing. I’m not a golfer but a few years ago, I played and was on the championship team. Won a golf bag. If you are not a golfer, what in the heck do you do with a golf bag? Plant flowers in it? I made a trade, one bag for three golf shirts! Since I was on the championship team, my golf career ended. No place to go but down was my philosophy. It has been my experience that spring training comes in three phases. Phase 1: The excitement of being here and getting started. Phase 2: The daily workouts become routine to watch. Let’s play games. So, phase 2 starts tomorrow night, the eighth-ranked Florida State University Seminoles (13-0) at 6:35 p.m. at Bright House Networks Field. Charlie Manuel will start the big guys in the field and will use seven different pitchers. The Grapefruit League officially begins on Thursday in Lakeland, FL, where the Phillies will play the American League Champion Detroit Tigers. The sound of baseball can be heard again as this game will be broadcast on WPHT, Talk1210 in Philadelphia. First Comcast SportsNet telecast is Sunday, the Yankees in Clearwater, 1:05 p.m.
**Players spent a little more an hour with Richie Garcia, one of Major League Baseball’s Umpire Supervisors before taking the field this morning. He was going over some new rule changes and responding to questions. It is something that takes place every spring training in every team’s camp. **Tomorrow at 9:00 a.m., a nutritionist will address the team. Baseball players have different schedules (night game-day game-night game, airplane rides, hotels, meals at 2 a.m.) and the Phillies want the players to focus on proper eating habits and diets. I better listen. **The Phillies will be playing Florida State University next Wednesday evening at Bright House Networks Field. Charlie Manuel saw FSU improve to 10-0 on TV the other night. “Better call Hank and have him check out the Seminoles,” joked Manuel. Hank is Hank King the Phillies advance scout. 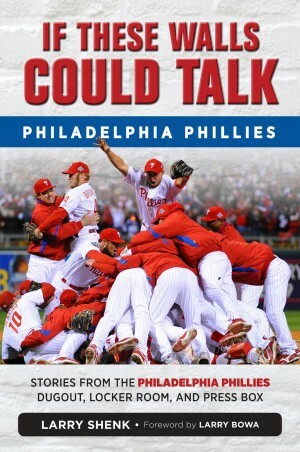 **The Phillies are a big hit with national TV. FOX has scheduled them nine times, more than the World Champion Cardinals. ESPN is going to do two spring training games from Bright House Networks Field, March 22-23. That’s a first by my friendly memory. **When Jamie Moyer threw BP yesterday, every pitch was from the stretch. “I always work from the stretch early in spring training. The most important pitches I have to make in a game are from the stretch.” Moyer is dynamite as an unofficial instructor. Young pitchers can learn a lot. 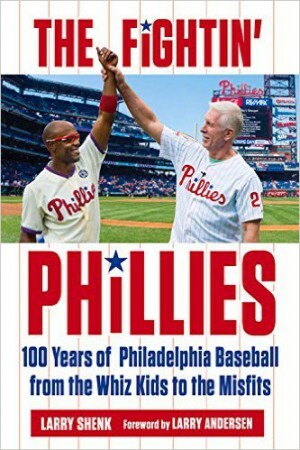 **Moyer, Tom Gordon and Michael Bourn have been added to the list of Phillies who will be signing autographs tomorrow night at the eighth annual Phan Fest. Details can be found on the main page of this website. Day 7 was pretty normal. The major change from yesterday was batting practice. Instead of the coaches and instructors throwing BP, 16 different pitchers had the honor. It is a routine that will carry over until the games begin next week. Highlight, or lowlight, of the day was batting practice for writers and TV sportscasters from Philly who are covering camp. Milt Thompson and Bill Bliss (Williamsport pitching coach) took turns throwing BP. Jim Salisbury (Inquirer), Todd Zolecki (Inquirer), Marcus Hayes (Daily News), Randy Miller (Bucks County Courier), Dennis Deitch (Delaware County Times), Mike Radano (Camden Courier-Post), Rob Maaddi (AP) and Ken Mandel (phillies.com) were the writers who swung the bats on the Richie Ashburn Field. From TV land, Jamie Apody (Channel 6), Jade McCarthy (Channel 10) and Don Bell (Channel 3) took turns. McCarthy got the biggest cheer when she hit a ball that landed three feet beyond the pitcher’s mound. Apody could swing the bat, hitting several line drives. Charlie Manuel watched from behind the left field fence. “I’d say the media should stick to what they are doing,” he laughed. Getting exposure for your team is the primary role of a PR person. We attempted to have a national TV network cover the event. Unfortunately, the Comedy Channel said no. The largest crowd of fans I’ve seen for the first day of spring training since the 1980s enjoyed a two and one-half hour Phillies workout at Carpenter Field. The parking lot at Carpenter was filled at 11:15 a.m., forcing people to park nearly two blocks away. It was a picture-perfect, Clearwater Chamber of Commerce day: 75 degrees, a pale blue cloudless sky and plenty of green grass. Two and one-half hours doesn’t seem like a long time but with four fields plus the facilities at Bright House Networks Field, 60 players were occupied every minute. Two groups of infielders fielded ground balls in a manner I had not seen before. Instead of having one coach/instructor hitting grounders to each of four infielders, there were four fungo hitters at one time. It meant that Chase Utley, for example, fielded grounders non-stop for 30 minutes. Ryan Howard took batting practice on the Mike Schmidt Field at 11:30 a.m. Fans have the opportunity to watch the action on all four fields. They can roam and see everything. When Ryan hit, most of them migrated to Schmidt. Only Danny Sandoval, who is having visa problems in Venezuela, was missing. Of the 60 players in camp, 27 weren’t here a year ago. Pitchers started Day 5 with a base running discussion by Davey Lopes in the clubhouse at 10 a.m. No one is expecting pitchers to be base stealers but knowing how to take proper leads off bases, how to read defenses, taking an extra base, etc., can mean the difference between a W and an L.
Lopes had the same drill with catchers earlier in camp. He’ll conduct on-the-field drills with position players soon. At 8:30 a.m., pitching coach Rich Dubee conducted a meeting with the nine catchers in camp. He along with Ramon Henderson, Mick Billmeyer, John Russell, Mike Compton, Rod Nichols, Gorman Heimueller and Carlos Arroyo have been meeting every a.m. Idea is to get catchers to exchange information and learn every pitcher’s strengths, weaknesses, tendencies. Catchers need to know their pitchers inside and out. Every day catchers warm up different pitchers (29 are in camp). The following day, each catcher talks about the pitchers they had: what pitches worked, what didn’t, release points, delivery issues, etc. Tomorrow is a vacation day for this early morning meeting. It will resume the following day and continue for most of the spring. Day 4’s schedule is pretty much the same as three previous days. Weather still not ideal but that happens. Winds today at 20-30 mph from the northwest brought on goosebumps. Desipite the conditions, the players were able to do everything on the schedule. In an effort to accommodate numerous media requests for Ryan Howard, we arranged a 1 p.m. press conference in the media lunch room at Bright House Networks Field today. He handled it well as you can see on phillies.com. Tomorrow, the rest of the Phillies position players check in camp for their physicals. Tuesday morning, the first full-camp workout will take place. Wes Helms and Shane Victorino didn’t wait until tomorrow. They were in uniform today. Other familiar faces will in camp for periods of time, Robin Roberts, Mike Schmidt, Garry Maddox and Johnny Podres. **Andrew Beattie is 28-year-old infielder the Phillies in camp. He was signed as a minor league free agent this winder and has an interesting background. He was born in Philly, grew up in Clearwater and was the bat boy for the Clearwater Phillies in 1987. **How times have changed. When I first came down here 43 years ago, there was little interest in the exhibition games. We used to carry tickets with us and to give to people. This spring the Phillies are 13,000 tickets ahead of last year’s pace for games at Bright House Networks Field. **Following today’s workout, Ryan Howard spent a couple of hours being interviewed and photographed for a cover story in April in Philadelphia Magazine. On Monday, he’ll do the same for Vibe Magazine. He’s also going to be a cover story in the New York Times Sunday Magazine. Bench coach Jimy Williams’ day 1 spring training workout schedule for pitchers and catchers is in the books. The 31 pitchers were divided into four different groups. 10:30 a.m. The four groups divided time between long toss, bunting and holding runners on base. Three different fields at Carpenter Field and the enclosed batting cages were in action. 10:45 a.m. Each group spent 10 minutes throwing off the mounds between the Robin Roberts/Mike Schmidt fields. 11:00 a.m. Groups rotated between fielding, throwing, long toss drills. Pitchers at this time also got a water break and a change from sweaty shirts to dry ones. 11:20 a.m. Four groups were on four different fields for fielding practice. Fundamentals are so vital throughout the long season. 11:50 a.m. All four groups went through conditioning drills on the Roberts field before finishing with weight training at Bright House Networks Field. 11:50 a.m. Catchers took batting practice on Ashburn/Schmidt fields and followed with their conditioning and weight training. Meanwhile, position players who are in camp early took batting practice at Bright House Networks Field. Six different coaches/instructors took turns throwing BP. Charlie Manuel began his day with a 7:45 a.m. live interview on FOX TV’s “Good Day Philadelphia” show followed by his daily 8:00 a.m. meeting with his staff, a brief talk to the team at 9:45 a.m. and roaming the various fields to check on the drills. After workout ended, he did a couple of one-on-one TV interviews and met with the print media.